A book that will give a perk point every time it is read. Requires SKSE. Reading the book from your inventory will now give you the choice of 1, 3, 5, or 10 perk points. 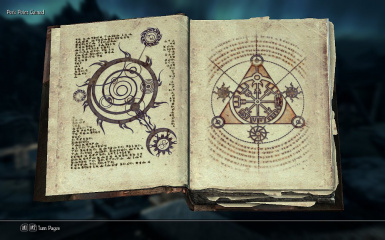 A book titled "Ancient Text" will be automatically given to the player. Every time it is read you will receive 1 perk point. You can read it as many times as you like. Yes, this is a cheat item. Physically, this book looks just like the Oghma Infinium.